Updates are very important for operating system because they maintain its security at a proper level. Besides that, they often bring new features and improvements that is so exciting. By default Windows 10 is configured to automatically check for updates, download them and install. 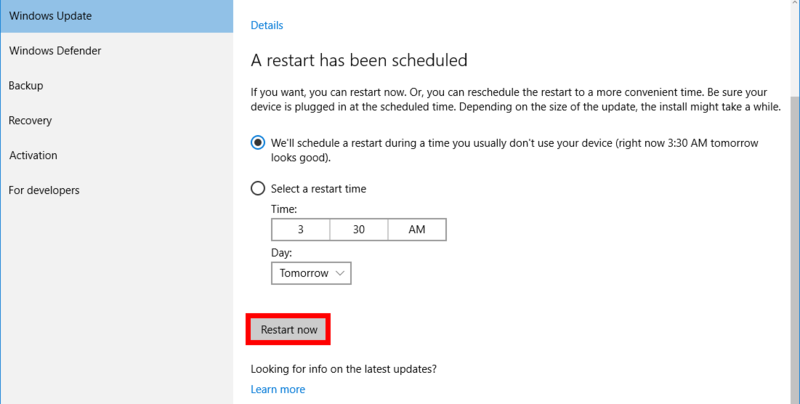 However, you may set your active hours to tell your operating system when you don’t want your computer to reboot. But you may want to check for updates, download them and install immediately. Why? Perhaps, if you know that the next hours you will have only the metered Internet connection and it wouldn’t be convenient for you to download and install updates. For instance, when you plan to travel by car and use your mobile data instead of your home unlimited plan. So here is how to manually check for updates in Windows 10 and install all stuff right here right now. You also may want to clear Windows Update cache if you have errors while installing updates. I’m running a new Byte Plus. Just fired it up last night. Was getting the same update error message last night too.